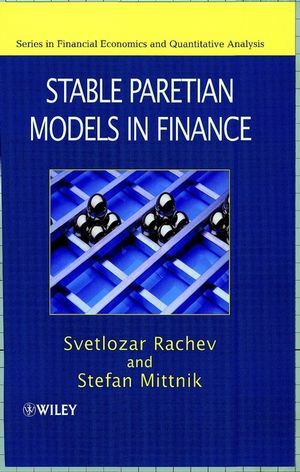 Svetlozar Rachev is Chair-Professor in the School of Economics and Business Engineering at the University of Karlsruhe, and Professor Statistics and Economics at the University of California, Santa Barbara. He has published five monographs and more than 200 research articles. His research areas include mathematical and empirical finance, econometrics, probability, and statistics. He is a Fellow of the Institute of Mathematical Statistics, Elected Member of the International Statistical Institute, Foreign Member of the Russian Academy of Natural Sciences, and holds an honorary doctorate degree from ST. Petersburg Technical University. Stefan Mittnik is Professor of Statistics and Empirical Economics at the University of Kiel and Director of the Institute of Statistics Econometrics. His academic and consulting work covers the areas of empirical finance, forecasting financial risk, portfolio management, computational finance, econometrics, and time series analysis.